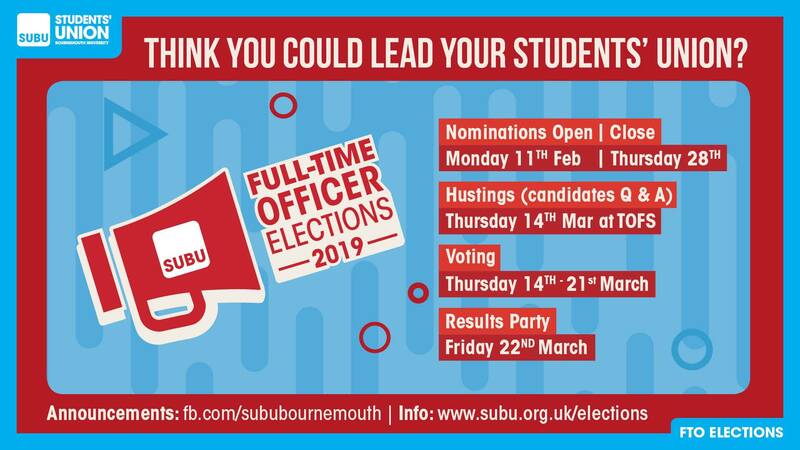 Nominations for the SUBU Full-Time Officer elections are now open! SU VP Welfare & Equal Opportunities. Take this fun quiz to see which role could be the one for you and read the 10 reasons why you should run for election. Remember to submit your nomination - open from 11 - 28 February. For all you need to know about the elections, visit the SUBU website or pop and see the current FT Officers for a chat in the Student Centre, Talbot Campus. There will be IT and network outages over several weekends in May at Lansdowne Campus - find out more.